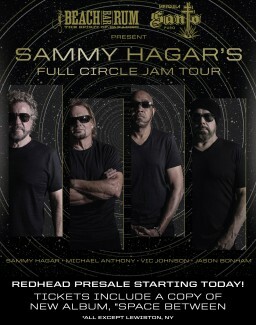 Redhead Pre-sales for The Circle's Upcoming Tour On Sale Today! 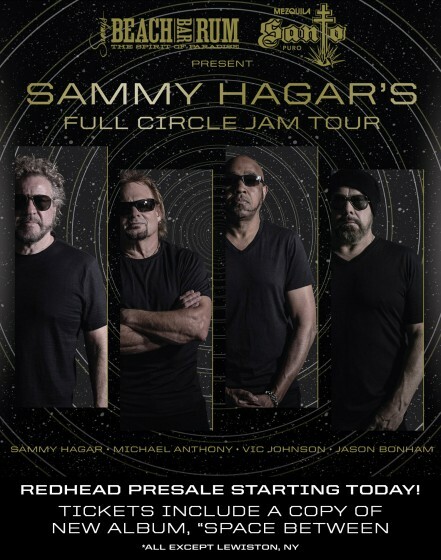 First round of Redhead pre-sales for The Circle's upcoming tour are available today at 8am PT/9am MT/10am CT/11am E.
Pre-order tickets using fan access code REDHEAD for Albuquerque, Austin, Sugar Land, Thackerville, Maryland Heights, Huber Heights, Bensalem, Gilford, and Mashantucket on the events page. Tickets include a copy of the new album Space Between! Purchasers need to redeem their copy; instructions will be emailed on May 10th. Sam, man! Cleveland, Ohio $109 for the cheap seats!? Even the most loyal Redheads have to put the family first. I saw you first in 1996 at the Richfield Coliseum, The Balance Tour. It was the last show before it closed. I was 14 years old. I have seen you 20 plus times since. I have met every one, Vic, Mona, Lauser, Jesse Harms, even you on a couple occasions. I was front and center every show under $50. I cannot pay $109 a seat. For my wife and I that is a $400 night at minimum. Help a brother out.